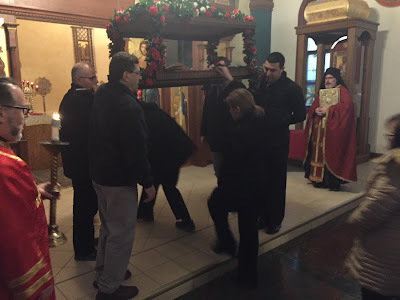 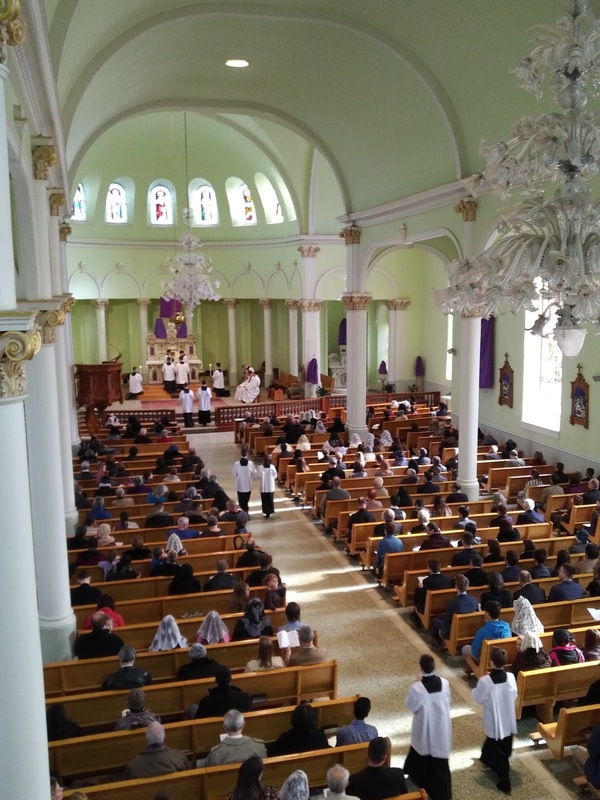 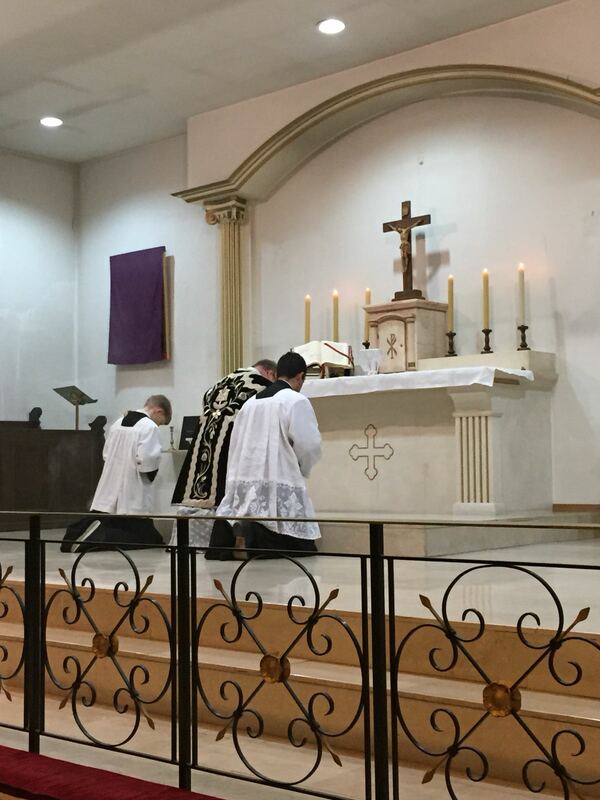 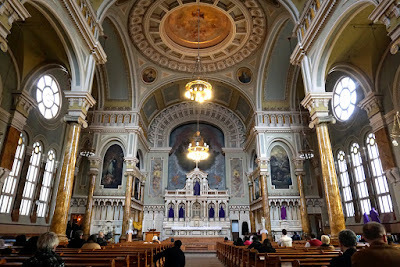 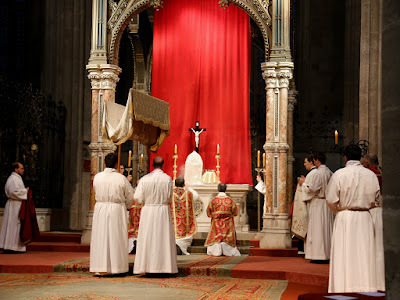 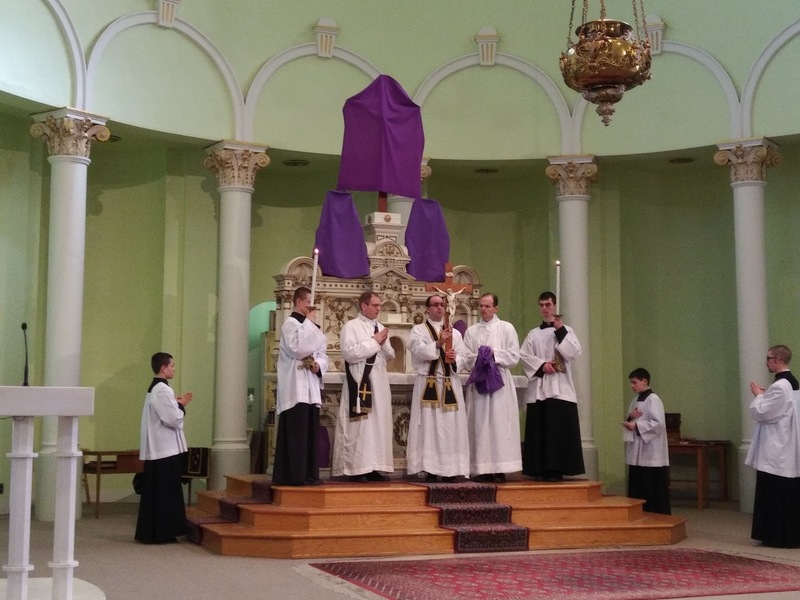 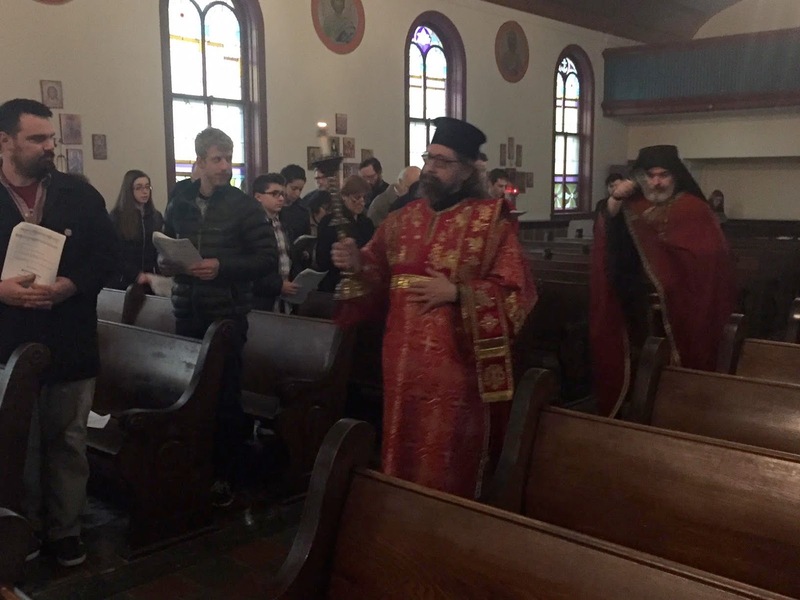 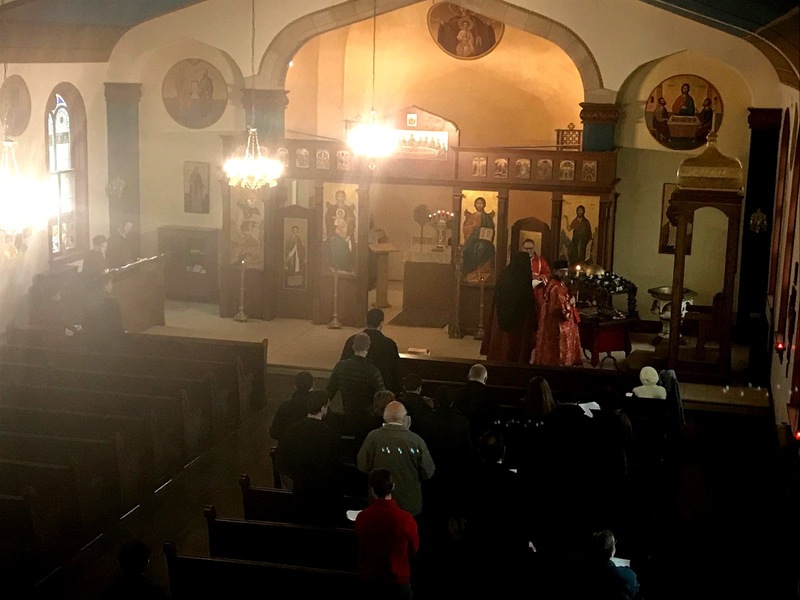 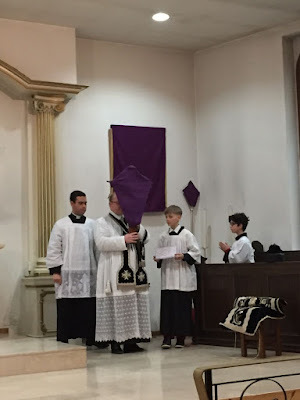 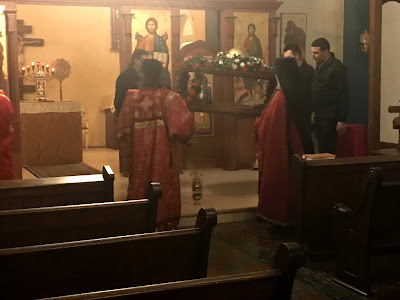 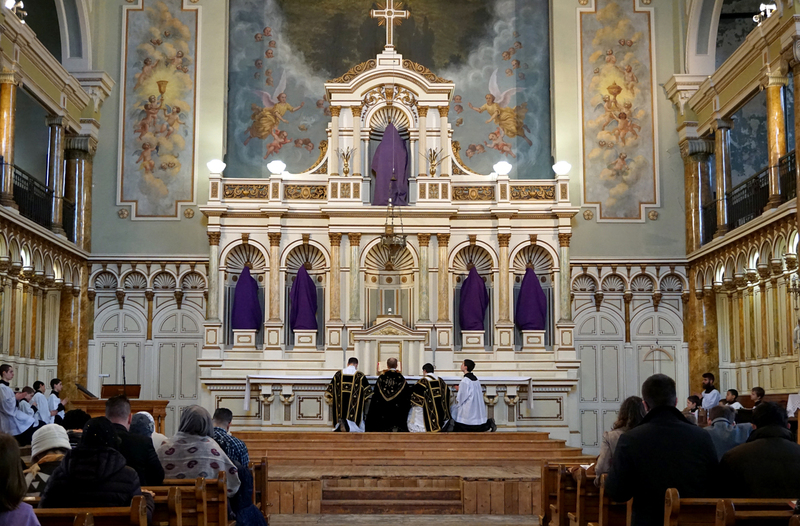 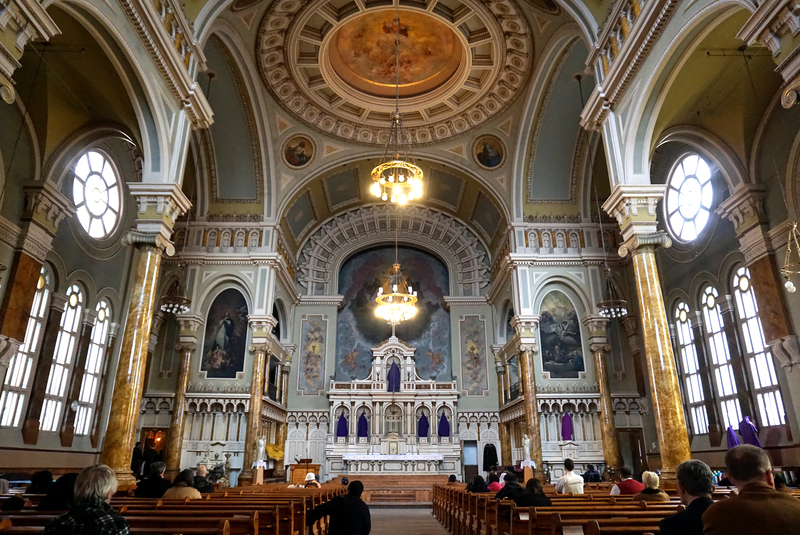 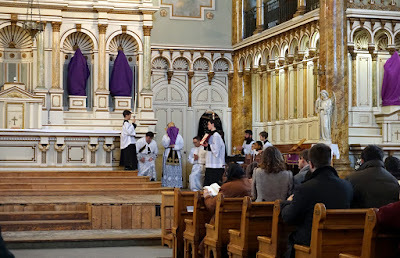 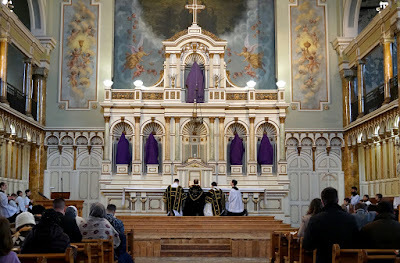 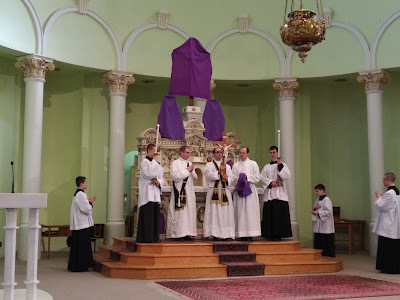 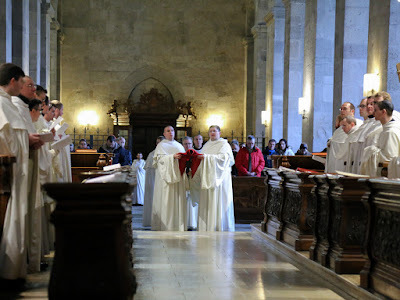 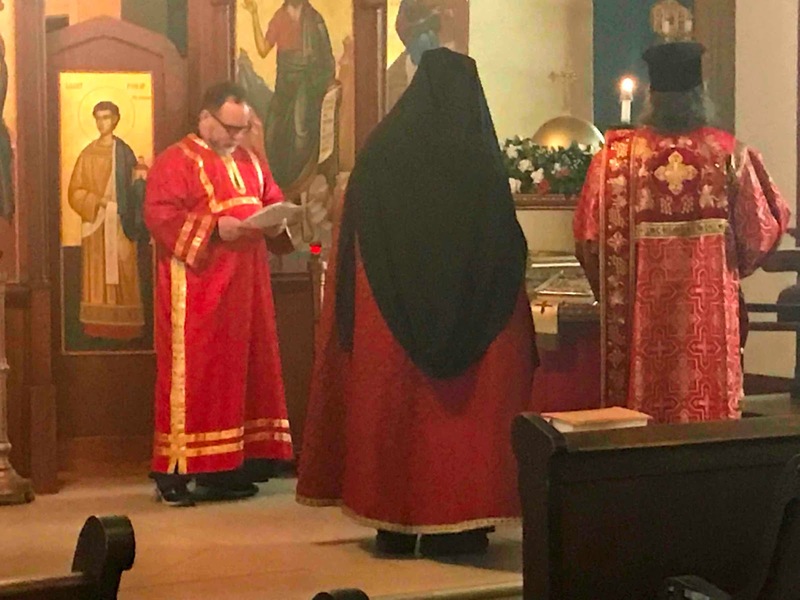 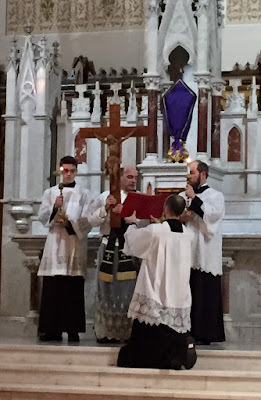 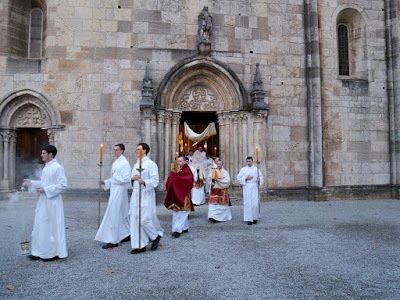 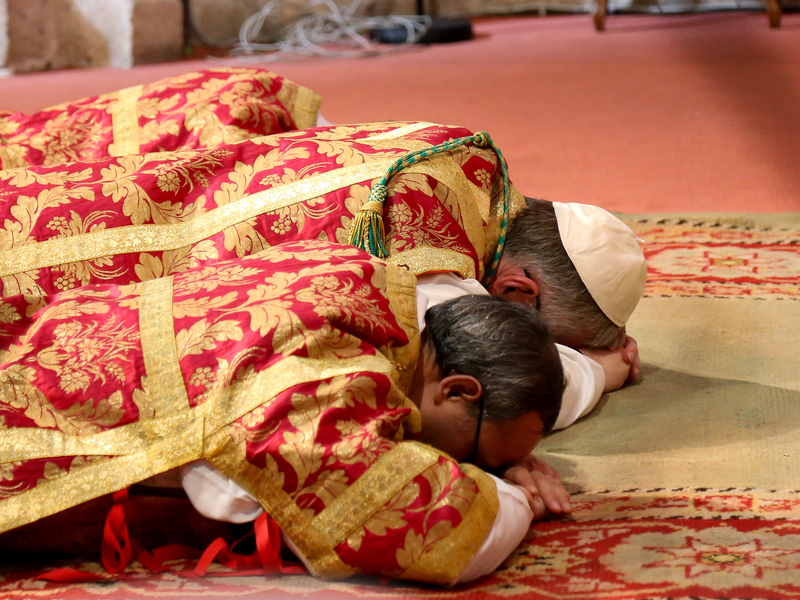 Once again, our photopost series continues to demonstrate the richness of our Catholic liturgical hereitage; here we have the ceremonies of Good Friday in both pre- and post-Pian form of the EF, as well as the OF, and Vespers of Good Friday in the Melkite liturgy. 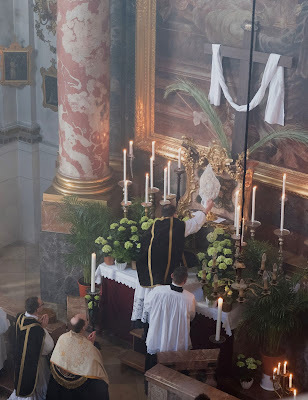 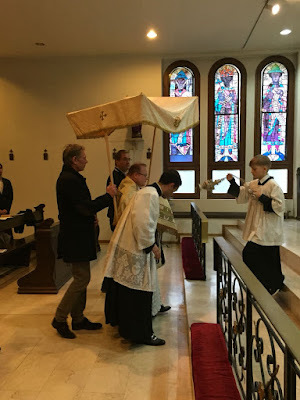 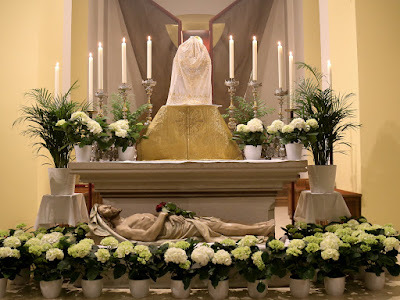 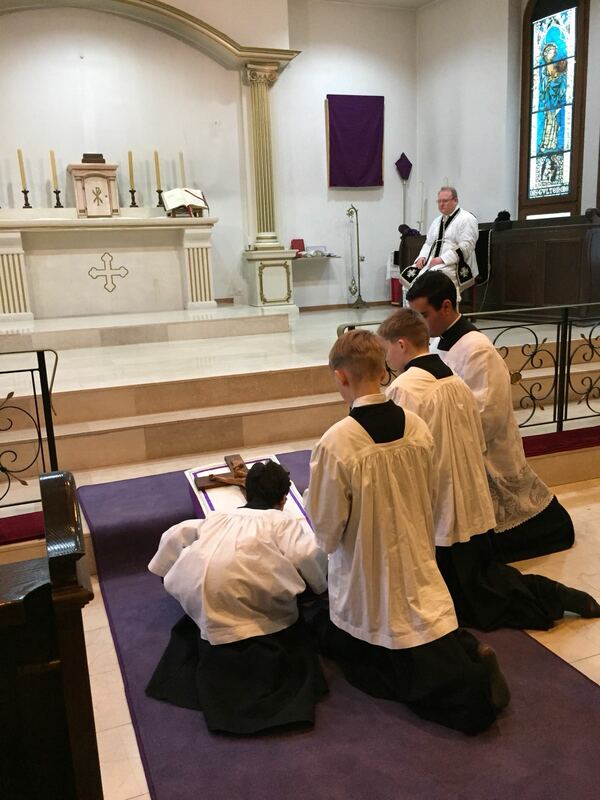 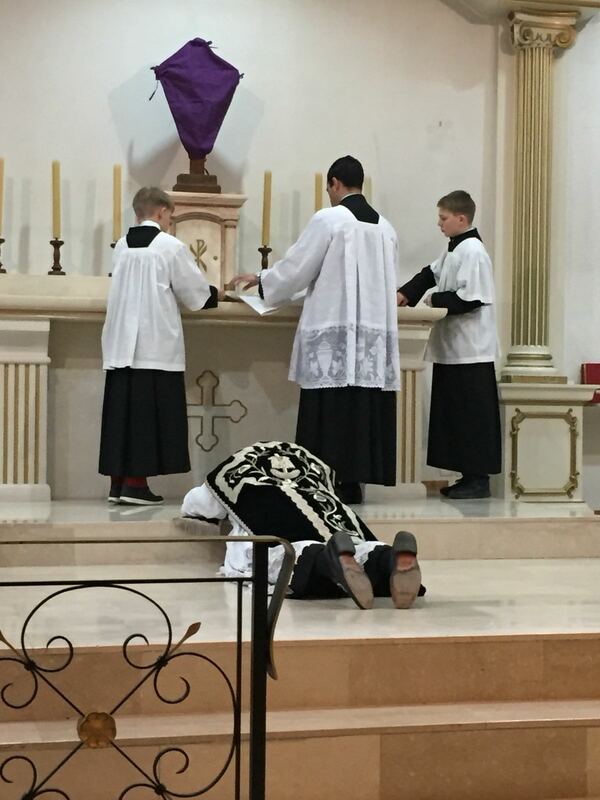 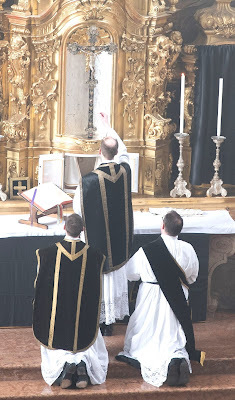 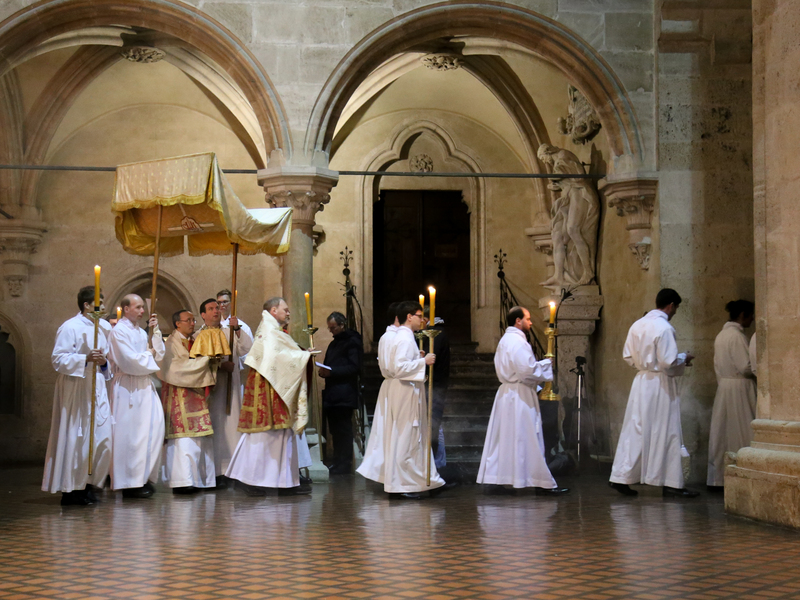 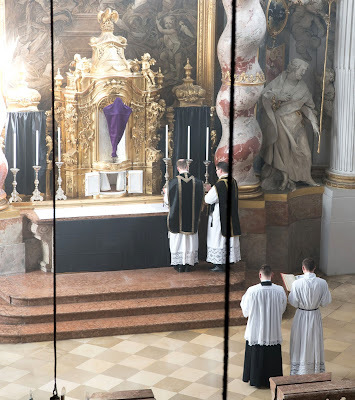 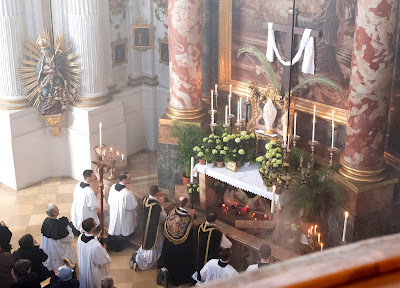 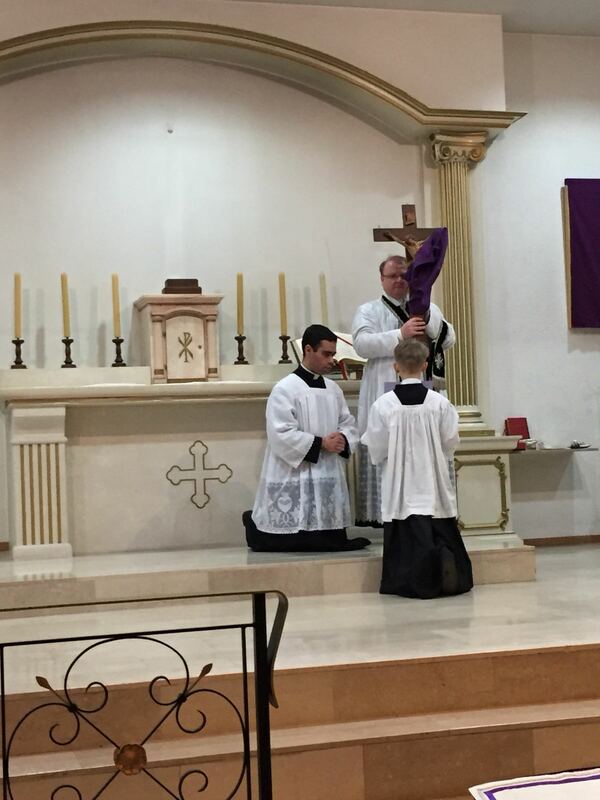 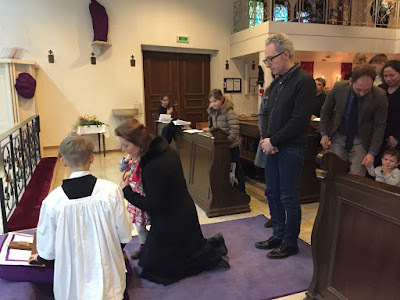 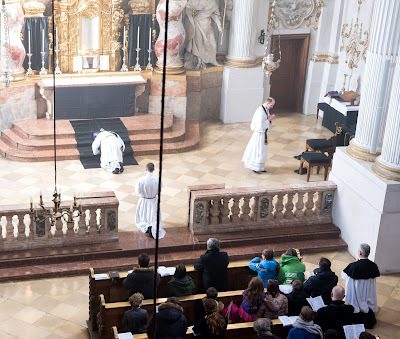 I would call our readers’ attention especially to the first set of pictures from Munich, where we have an interesting example from Germany of popular devotion in a liturgical context. 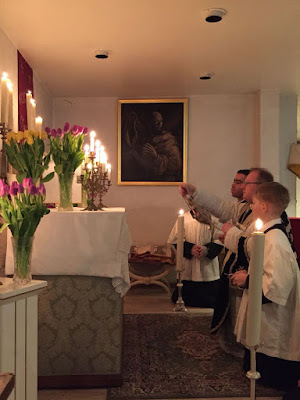 There will be at least one more of these before we move on to Tenebrae, the Easter vigil and Easter Sunday; as always, with our thanks to everyone who sent these in! 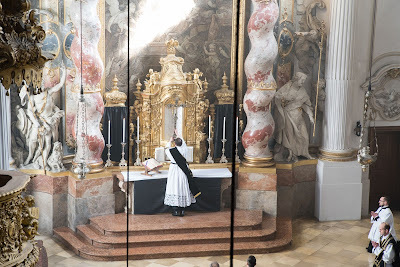 Another example from Munich, in the crypt of the so-called “Asamkirche”, dedicated to St John Nepomucene, and built by the Asam brothers, the most influental Bavarian artists of the early 18th century, as their private chapel. Vespers of Great and Holy Friday, served by the monks of Holy Resurrection Monastery in St Nazianz, Wisconsin (http://www.hrmonline.org/). 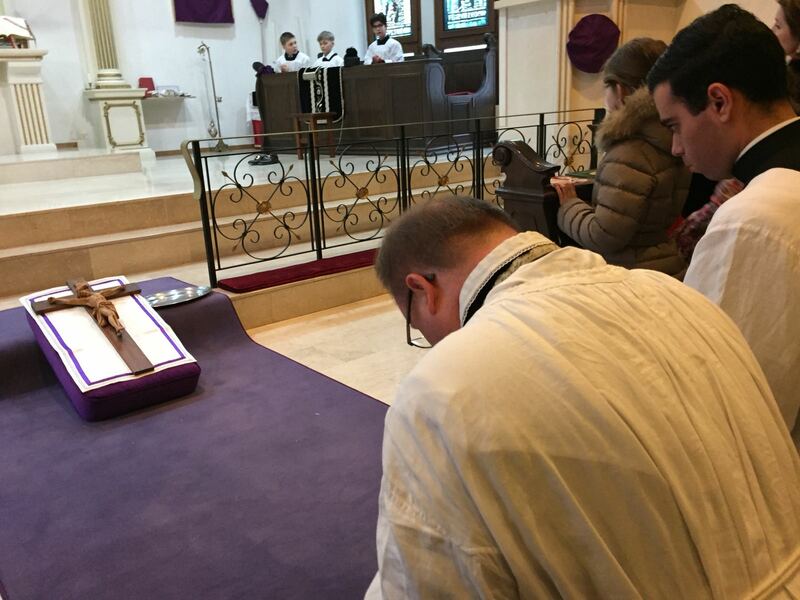 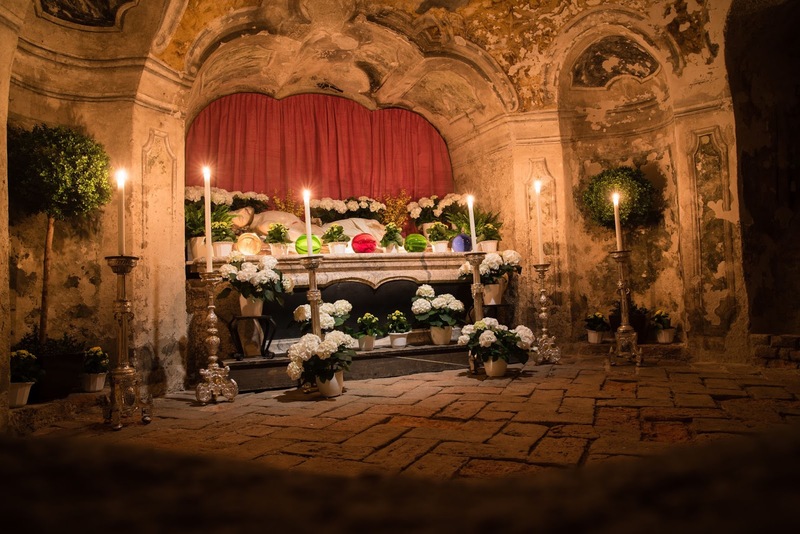 The prayers before the epitaphios (burial shroud) are the Lamentations from Jerusalem Matins of Holy Saturday. 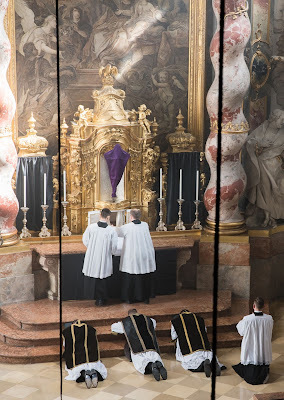 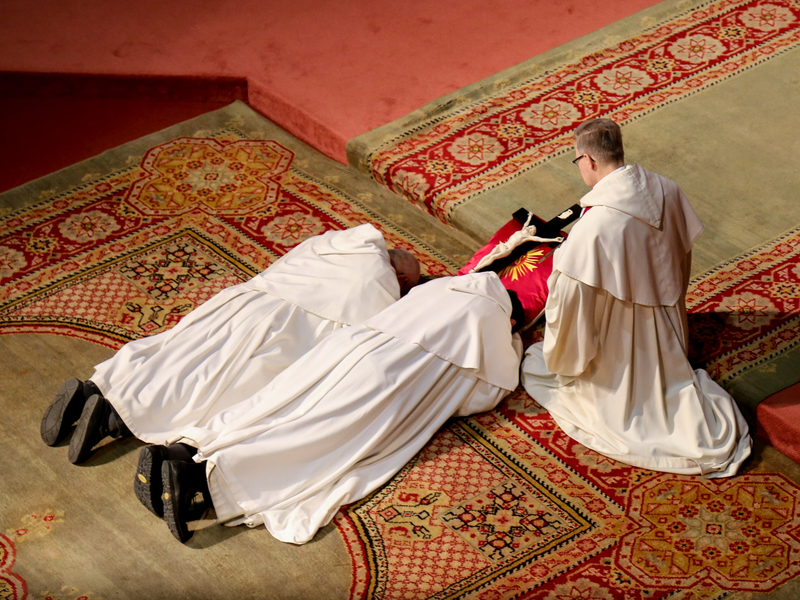 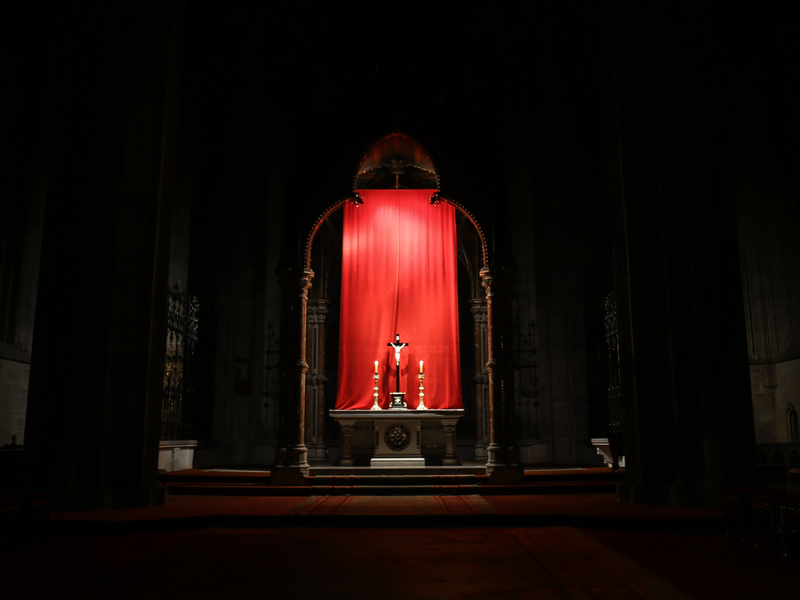 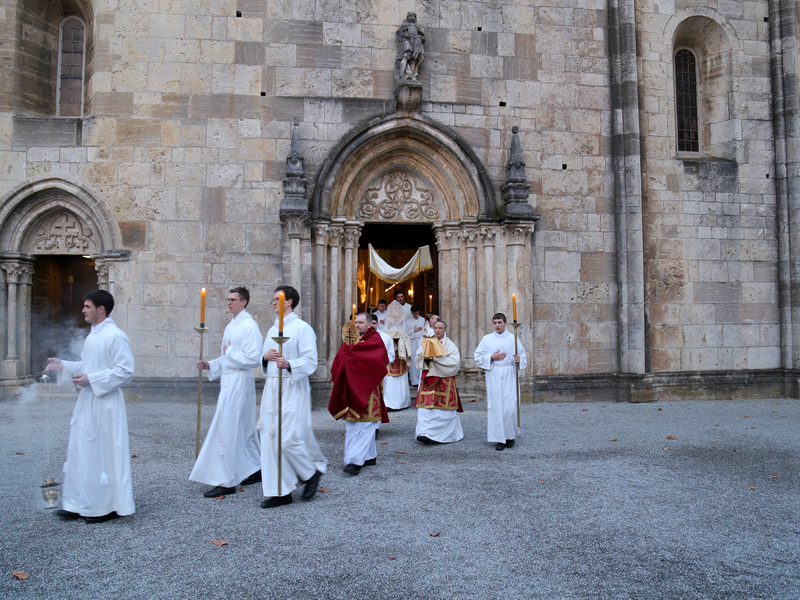 The congregation processes with the shroud as part of Friday Vespers, and then pass underneath it, as seen below. Everyone then venerates the shroud and is given a flower to take away from the decorations of the epitaphios and funeral bier. 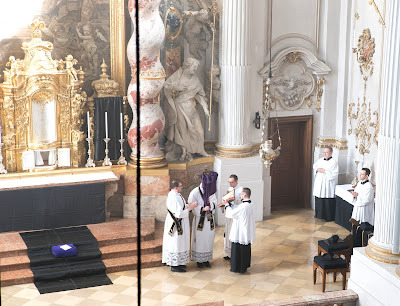 Fr Franck Quoëx, who is buried in the cemetery of Lausanne, explained the symbolism of this arrangement for the Adoration of the Cross to me once: the purple cushion underneath represents the regality of Christ, which is temporarily hidden, so to speak in the sufferings which He undergoes in His mortality, which is then itself hidden by His burial shroud until the Resurrection on Easter morning.